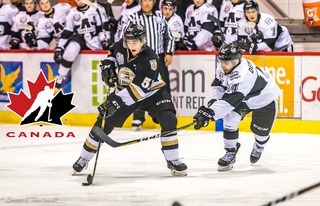 Fresh off of winning an incredible seven awards at the 6th Annual Charlottetown Islanders Fan Choice Awards, Matthew Welsh continued his winning ways on Wednesday, receiving the Marcel-Robert Trophy for QMJHL Scholastic Player of the Year at the 2019 QMJHL Golden Puck Awards. He wasn’t the only Islander to receive accolades from the league. 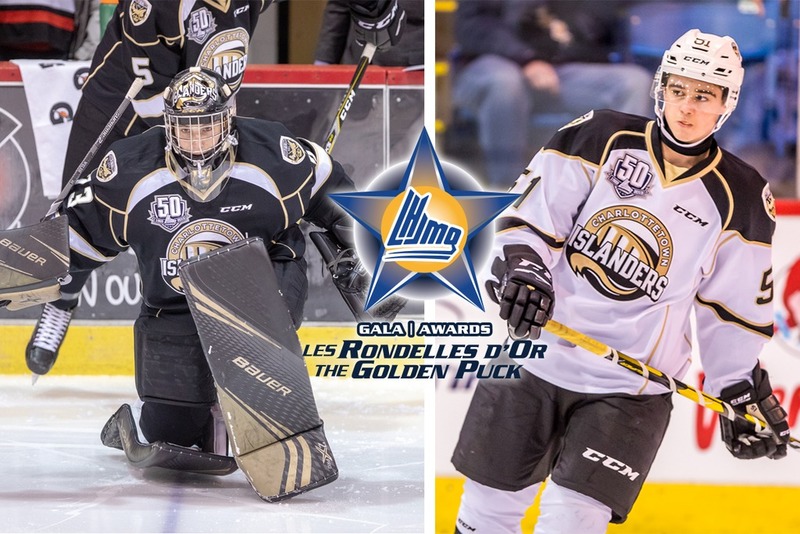 Defenseman Lukas Cormier was named to the All-Rookie Team alongside Cornwall, PEI native Jordan Spence. 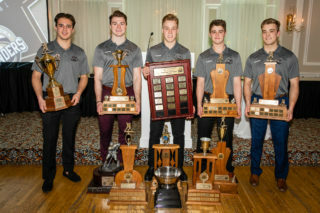 The Marcel-Robert Trophy is awarded to the player who best combines on-ice performance with academic success in school. 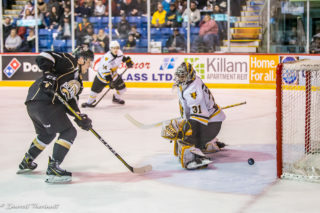 A student in Business Management at Prince Edward Island University, Welsh balanced hockey and his studies brilliantly, maintaining a 90% average while playing more minutes than any other goalie in the QMJHL. This is the second year in a row that he’s been named finalist for Scholastic Player of the Year. Cormier put together one of the finest 16 year-old seasons in Islanders history. 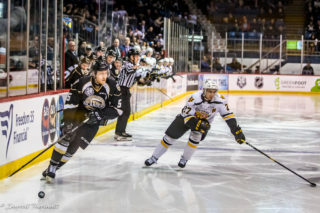 Cormier finished the season with 15 goals and 36 points in 63 games, placing him in a tie for fifth among all defensemen in goals. 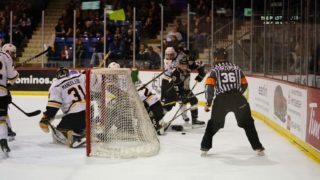 His goal total also breaks a franchise record set by Adam Polasek in 2009-2010. Join us in sending congratulations to Matthew and Lukas for their excellent work this season both on and off the ice!